Neighborlogs.com, based in Seattle, offers a blog platform specifically for those doing hyperlocal community news or placeblogs. I spoke with Justin Carder one of the principals of Instivate, the company building the platform about what they’re growing. 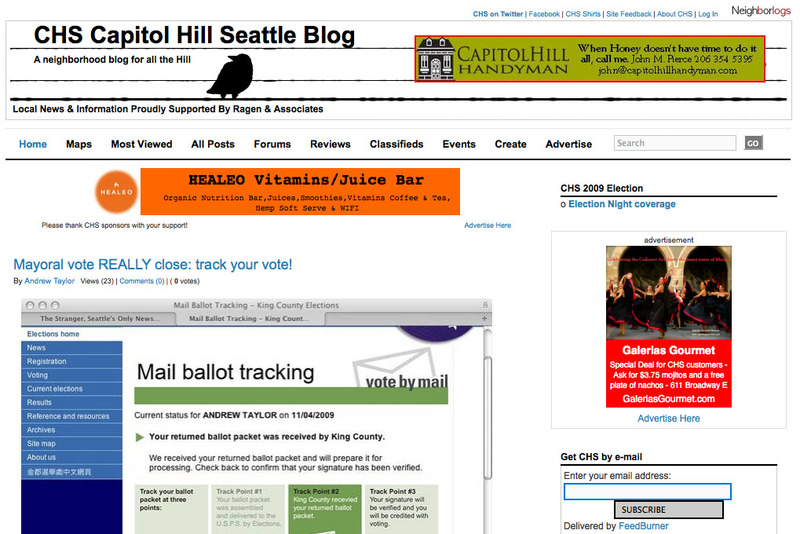 The platform, now in private beta testing, has been running centraldistrictnews.com for about two years and capitolhillseattle.com for about 1 ½ years. Neighborlogs actively began soliciting beta testers in spring 2008 and is adding about two to three new sites each month. Justin, who runs the capitolhillseattle.com blog, lives the placeblogger life, building the platform along with Scott Durham, president of Instivate. “We’re out here doing the work,” he says — a key to understanding what it takes to be successful and to build good software that suits the hyperlocal niche. He believes that being successful as a placeblogger means finding a pace that you can sustain – and that means doing it every day. reJurno has done a review of capitalhillseattle.com’s inner workings. Neighborlogs.com has plans for expansion by building a self-serve advertising module to put campaign management in the hands of the advertiser. After beta testing, they plan to offer the Neighborlogs/ad software using a revenue share model. The software does allow for multiple roles. Administrator roles give you the ability to add plug-ins on the site. Their Google beta group is very active in pointing out bugs and desires they’d like added to the system. And the Instivate team is very responsive to those concerns. But right now they’re content to soak up the feedback. COMING WEDNESDAY: The platform search continues with…Village Soup.